Ruby Slots Casino is an online casino that offers Australian players a large variety of slot games. Of course, the casino offers other games to enjoy as well. The casino features a vibrant red color as the background. Gold from the casino’s logo and primary menu compliments the red. The casino is a product from Real Time Gaming (RTG) which has been in the industry for a long time. Since the casino has software from one of the leading providers in the industry, Aussie players can expect a gaming experience that is very enjoyable. At the Ruby Slots Casino, they firmly believe in fair and secure gaming. That is why they use Random Number Generator which ensures that players can enjoy games knowing that nothing is predetermined. Technical Systems Testing (TST) monitors all the gaming at Ruby Slots Casino to make sure that the gaming is fair. 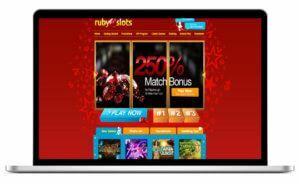 There are different incentives that Aussie players can enjoy at Ruby Slots Casino. Whether you are new to the online casino industry or you are an advanced seasoned player, you can take pleasure in the different rewards available at this casino. Second Bonus 100% match up to $1000 All games such as Blackjack and others RUBY100 playthrough 30x and 60x for games such as Blackjack and other table games. 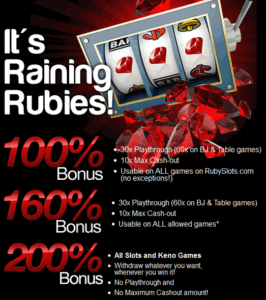 It’s raining rubies 100% Bonus All Games RUBYRAIN 30x Playthrough and 60x on Blackjack and table games. 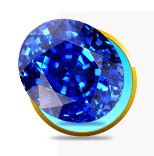 The fire in the Gemstone Family 160% Bonus All Allowed Games GEMSTONE 30x Playthrough and 60x on Blackjack and table games. The casino boasts over 80 slots games, also known as Pokies, which is more than enough to keep any Australian player busy for hours on end. There is also a wide selection of table games, video poker, and speciality games. 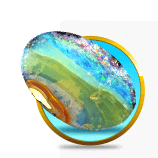 Ruby Slots offers gamers a very exciting and fun gaming experience through the games that they have on offer. Any online casino knows that it is crucial that a player has different methods of payment. Players can use the banking options to make deposits or withdrawals into their casino account. 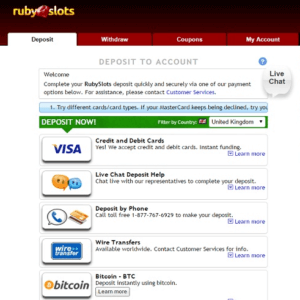 Ruby Slots Casino has a few options available for Australian players when they want to make transactions with the casino. The casino can only make a maximum payout of $2000 per week. Unless if you are a VIP member because your withdrawal limit can be increased. The casino has one of the best VIP program that has different levels that player can be part of. If a player is interested in any of the levels, they are more than welcome to contact the VIP host via live chat or by calling 1 877 767 6929. 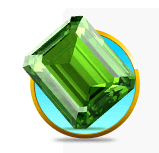 The casino has a team available to assist players with any queries or help that they need. They are accessible 24/7 which is very convenient for Australian players because they can receive help whenever they need it. 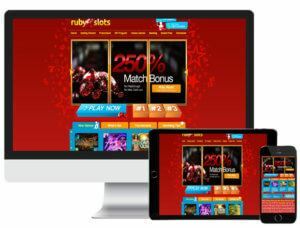 Australian Players are able to access the Ruby Slots Casino wherever they are because it is available on mobile devices. Players do not need to download any apps to enjoy the games from this casino. Once you open the casino on your mobile web browser, the site will redirect you to the mobile version suitable for your mobile device. Players who have iPhones and iPads can access Ruby Slots Casino. 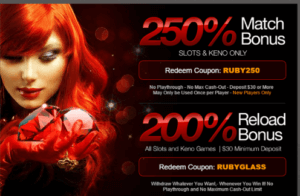 Ruby Slots Casino offers Aussie players some of the best slot games and table game to enjoy. It is a secure casino that has been proven to be fair. The casino is supported by one of the leading software providers which guarantee the quality of the games. 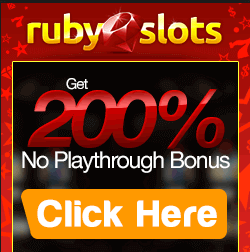 Ruby Slots Casino has the option to download the casino software or instantly play. Overall the casino is great; the only concern is that Australian players cannot contact the casino telephonically and it would be great if they were to offer this service. We rate the casino 3/5.